Classic wedding transport Hire in Essex. Taking care of you with classic wedding day transport! 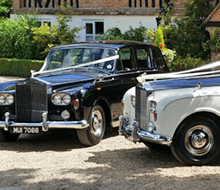 Bennett’s of Essex have many years wedding limousine hire experience, working with couples right across the Essex County, who have high expectations of what they would like from their wedding day transport hire. The experience we have gained over time, allows us to help make their special day, that extra bit special. A professional family run Essex business located in Brentwood we are long established, with knowledgeable in the provision of elegant wedding day limousine hire. Specialising in Chauffeur driven classic wedding limousines. Experience has taught us that those little extra finishing touches will make your wedding day one that will never be forgotten. As part of our complete wedding limousine hire package the bride and groom will be provided with a smartly uniformed chauffeur who will be on hand to assist you throughout. 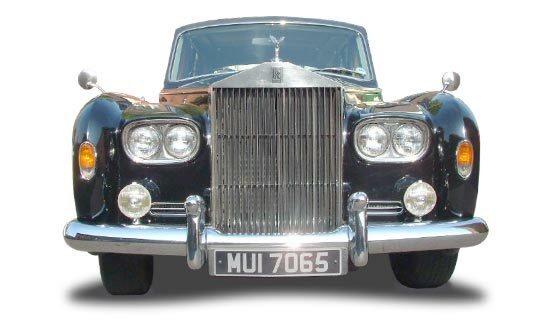 Classic Wedding Car Hire, Chauffeur Driven! Immaculately presented, our smartly uniformed chauffeurs offer years of experience driving our fleet of wedding cars. Prepared for the unexpected they ensure a sophisticated, bespoke experience to all our clients and you can trust that your Bennett’s designated limousine chauffeur will be on hand to assist you throughout the day. All our chauffeurs employed to drive our wedding transport hire, promise to offer an exceptionally high level of style, safety, courtesy and refinement, to your wedding journey. Which is exactly what you would expect on one of the most important days of your life! Bennett’s of Essex have many years’ experience in providing classic wedding transport, working with couples across the Essex County who have high expectations of what they would like from us, to help make their special day that extra bit special. As a professional family run Essex business located in Brentwood we have many decades of experience in providing classic wedding transport and chauffeur driven limousines for hire throughout Essex. We are confident that it will be love at first sight when you view our elegant fleet of classic wedding transport hire that is available to you on your special day. The only question is which one will you choose??? With such a wonderful choice of limousines to choose from we would not expect you to decide without first sitting in one of our vehicles and would therefore suggest that you make an appointment with us to view our stunning fleet of wedding limousines. Your wedding day journey starts here! Bennetts of Essex, classic wedding transport hire, offers a premium quality wedding transport hire at very reasonable prices. We offer an excellent standard of limousine hire for your wedding package at the most affordable prices. Say I do! and arrive in elegant style in one of our fabulous wedding limousines on your wedding day. Contact us for your Bennetts of Essex wedding limousine hire quote, your journey starts here! Is your classic wedding car hire affordable? Don’t worry, all our classic wedding transport hire prices very competitively.